This 20-page ebook is full of how-tos and ideas, for teaching writing in the primary grades (grades 1 to 3). 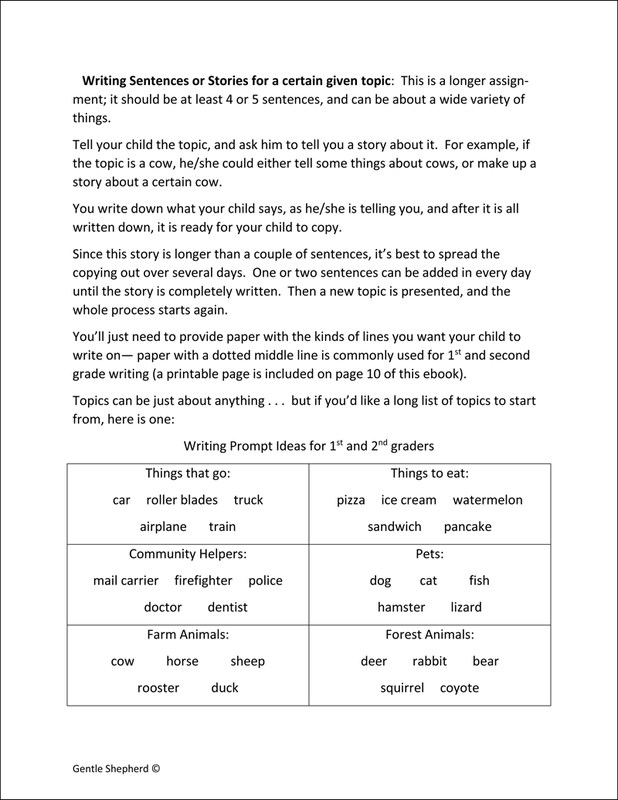 Topics covered are copywork, making books, a writing journal, writing topical stories, writing to go with pictures, and a writing exercise called "Word of the Day." 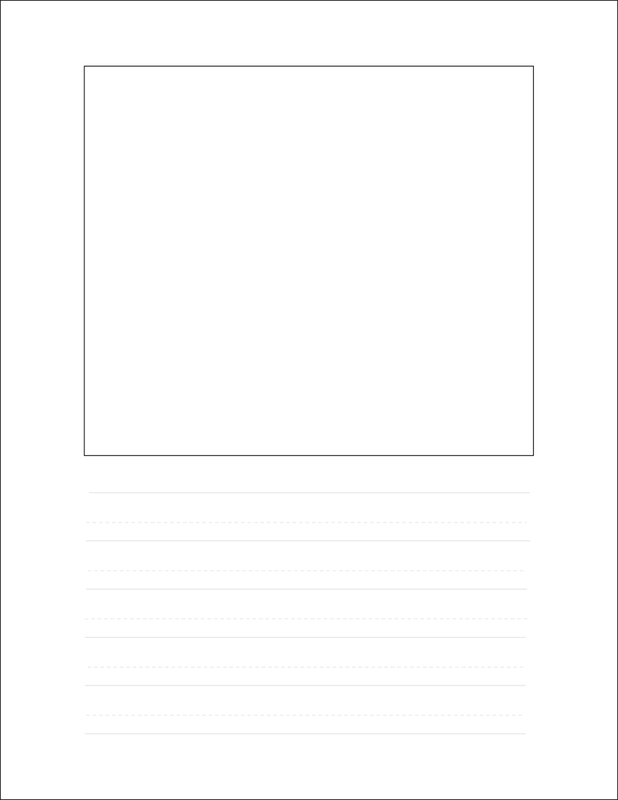 There are some printable pages included, for completing some writing assignments, but unlike most of Gentle Shepherd's other writing ebooks, this is an idea book, not a workbook. A Complete Creative Writing Program for grades 1 - 3! 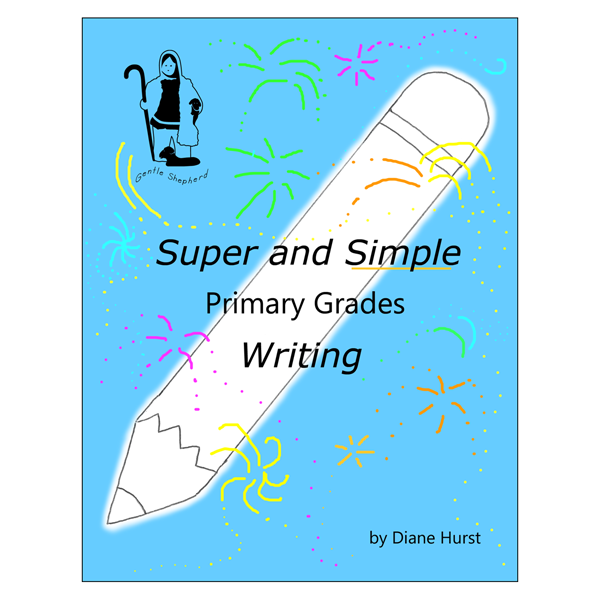 An idea book for teaching writing in grades 1 to 3; this is a PDF ebook with 20 pages.